Homosassa, Florida in Citrus County is a small town located along the banks of the Homosassa River. The area boasts a slower pace of life with an abundance of outdoor activities, perfect for retirees looking to enjoy Florida's Nature Coast. 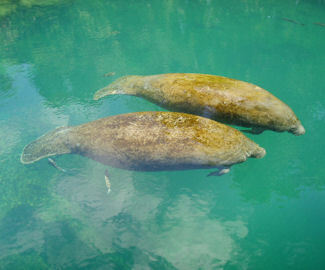 Homosassa is home to The Homosassa Springs Wildlife State Park famous for its large numbers of 'migratory' manatees, due to its springs and relatively warm waters. The Citrus County Citrus County Visitors & Convention Bureau website features information on lodging, travel, manatees, fishing, scalloping, the area's many freshwater springs, area activities, activities great for families, and even has sample itineraries to gain ideas from for your own Citrus County vacation. The Citrus County Chamber of Commerce website has an area business directory, visitor information and information on area news and events, such as the Florida Manatee Festival and the Floral City Strawberry Festival. Homosassa is a census-designated place. As of the census of 2000, the population was 2,294 with 1,128 households and 771 families. There were 1,602 housing units with the population density at 288.7 people per square mile. The median household income was $38,696, the median family income was $41,513, and the per capita income was $21,135. Information from Wikipedia. Homosassa Springs Wildlife State Park in Homosassa features native Florida wildlife, including manatees, American alligators and crocodiles, black bears, bobcats, and river otters. 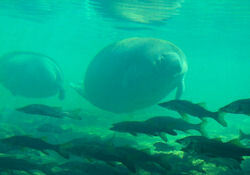 Activities include Manatee programs, Wildlife Encounter programs, picnicking, and bird-watching. The park features an elevated boardwalk, a children's education center, gift shops and The Wildside Café offering beverages and snacks. Visitors will enjoy 'The Fish Bowl', a floating underwater observatory with a below-the-surface view of manatees and fish. Sugarmill Woods Country Club in Homosassa offers 27 holes of golf and available membership in the Southern Woods Golf Club. Members enjoy dining, golfing, tennis, tournaments, swimming pools and many more amenities. Social membership offers members and their guests dining at both the Sugarmill Woods Country Club and the Southern Woods Golf Club, as well as use of the pool and clubhouse privileges. The Club also features the Oak Village Sports Complex facility with memberships that can include the entire sports complex, or only the pool and fitness venues. River Safaris & Gulf Charters offers historically narrated tours, manatee swim and viewing trips, airboat rides, guided fishing excursions and scalloping trips, boat rentals, and on-site lodging. Visitors can also enjoy the Glass Garage, Pepper Creek Pottery, Safaris Cafe and River Safaris Gift Shop with local artwork for sale. Homosassa Fishing Guides and Charter Service offers charter fishing in Homosassa, Homosassa Springs or Crystal River Florida with local fishing guides, with a specialty in Fly Fishing or light tackle fishing. Type of fish caught are Red Fish, Trout, Tarpon, Spotted Sea Trout, Black Drum, Sheepshead, and Jack Crevalle, depending upon the season. Homosassa Riverside Resort featuring a restaurant and marina, boat rentals and much more! Nature's Resort RV Park featuring full-hookup RV sites and fully furnished A-Frame Chalets or Park Models to be rented. Moore & Moore Realty located in Homosassa has waterfront, residential, commercial, land, and rental property available to search on their website; as well as area information. Stonebrook 55+ resort-style retirement living community in Homosassa, Florida provides a small-town feel with great home values. 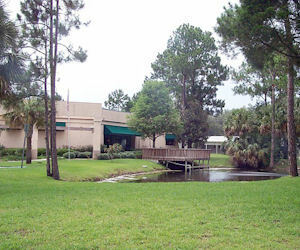 Community features include spring-fed ponds, a nature preserve, and tree-lined streets. At Stonebrook you can experience Florida's Nature Coast with rivers for fishing and boating, forests and wildlife preserves with manatees, sea turtles, pelicans, and sandhill cranes. Stonebrook offers a relaxed pace of life while located within five miles of everyday conveniences such as shopping, dining, banks, and churches. Amenities, include a spacious clubhouse, fitness center, library, swimming pool and spa, an outdoor barbecue area, multiple lakes with water features, boat and RV Storage and catch-and-release fishing. 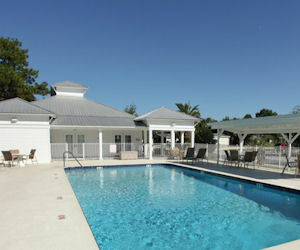 Walden Woods is a gated, 55 Plus retirement community with a relaxed vacation lifestyle located in beautiful Homosassa, FL. Amenities and activities include a Social Club, two Clubhouses, two Swimming Pools with Sundecks and Jetted Spas, a Putting Green, Tennis Courts, an Exercise Room, a Dog Park and more! Situated between the Gulf Coast beaches and the Withlacoochee region, Walden Woods is close to many nearby attractions such as Homosassa Springs Wildlife State, Weeki Wachee Springs State Park, and Buccaneer Bay. Banks, medical facilities, restaurants, and shopping are located within seven miles of Walden Woods. Forest View is a secluded 55 Plus Retirement Community in Homosassa, FL that offers vacation-style living and outdoor enjoyment surrounded by forests, private community lakes, and lush landscaping. Amenities include a lakefront clubhouse, a recreation center, heated swimming pools and spa, a billiards lounge, a Tiki hut and barbeque area, tennis and shuffleboard courts, boat and RV storage and community events and activities. Situated in the heart of Citrus County on the Gulf Coast, Forest View is located within five miles of restaurants, shopping, banks, and medical facilities. 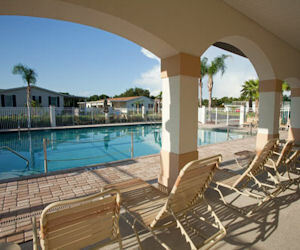 The community is also located just five miles from Homosassa Springs Wildlife State Park.